Started Martial Arts at the age of 6 years old (1993). I was under the instruction of Mr. Sean McCormick at McCormick Karate Academy (Oxford, PA). I won many awards in the tournament circuit as a young boy. After receiving my blue belt (Cho Dan Bo) I started to teach and train at World Martial Arts Academy (Downingtown, PA) under the instruction of Master Roy R. Kofroth. In June of 2001 I received my Black Belt in Tang Soo Do. While continuing my training I also played Football where I exceled in that as well. Starting at the age of 12 years old (1999) – 18 years old (2006) I’ve won 3 MVP’s. Also in 2002 I was selected to play for Chester County Select football team. Athletes from Chester County came to try out for the traveling football team. We traveled and played teams from Ohio, Florida, Rode Island, and Pennsylvania. After my senior year season I was selected to play on the Valor Bowl team (All Star team of the best seniors). Then I got back into the gym, training and continuing my discipline in Martial Arts. As I began to do more boxing I ended up making the Joe Hands Boxing team in Philadelphia (2008). I traveled to the city 5 days a week to take my training to the next level. While training under Tommy Barne’s he took me too many different events and tournaments. 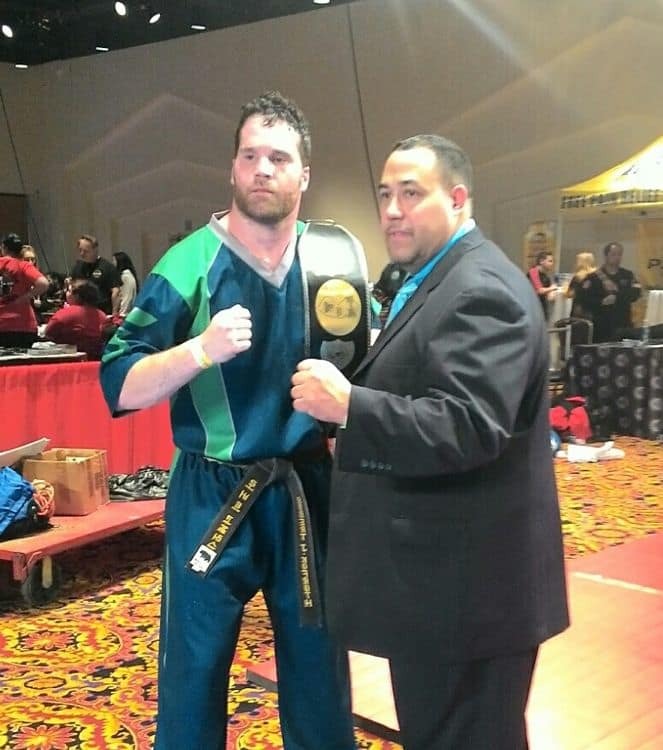 I competed in Ohio for the Ohio State Fair, Allentown Sports Week and Rock Ministries. I also competed in the Irish Festival along with other fighters from our team, Team Philadelphia against Team Belfast, Ireland. My trainer decided to enter me into the Middle Atlantic Boxing tournament. Where I won and was awarded the title of Middle Atlantic Boxing Champion at 197lb (2009). After winning the Middle Atlantic we decided to enter the 2009 Pennsylvania Golden Gloves where I fought 3 fights and lost in the finals at “The Arena”. While training and continuing to compete I had the chance to help Bernard Hopkins in his returning fight at the Liacouras Center. As Joe Hands moved to a different location and a job opportunity opened up for me, I started doing more training at World Marital Arts. 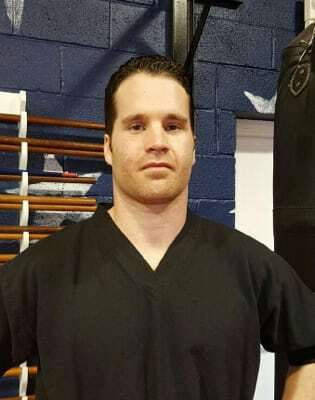 I am now, helping as an instructor at World Martial Arts Academy. 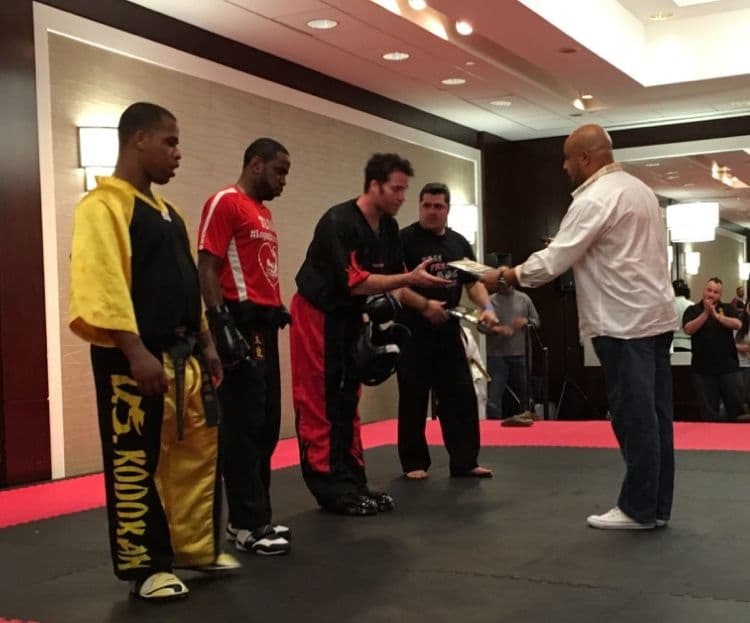 I am helping to train kids, teens, and adults. In 2015 I started getting back into Sports Karate and started to do many different tournaments and winning grand champion. At the end of February 2016, I was asked to join Master G.J. Torres’s team to travel to Puerto Rico. Then on May 21st 2016 I was inducted into the Who’s Who Martial Arts Hall of Fame. Martial Arts has always been a huge part of my life. I Hope that me continuing to teach and train will help kids and adults to realize with hard work and discipline you can achieve anything.